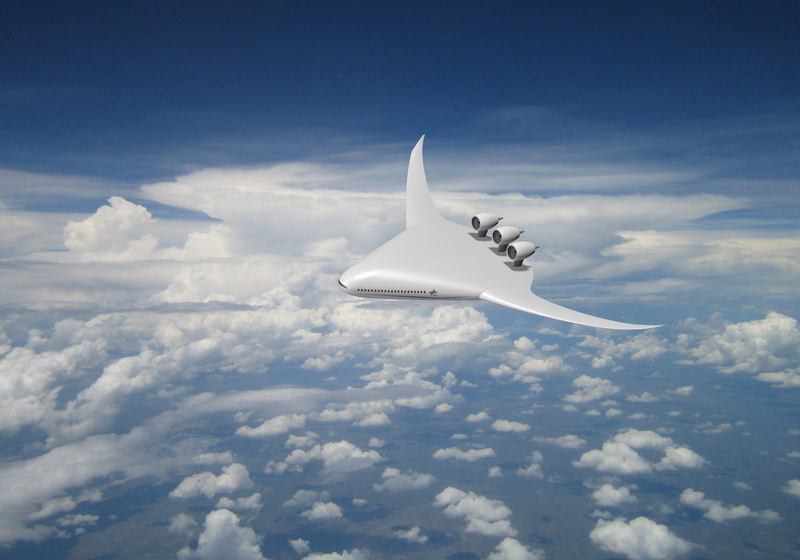 University of Nottingham > Blogs > INNOVATE - Novel Aerospace Technologies > Aerodynamics > What will future aircraft look like? What will future aircraft look like? However, what we can do is still poor compared to what we can see in nature. Birds’ flight mechanics are far more complex than that of airplanes’ as well as their flight performance: their flight is highly efficient, they “land” on a spot with astonishing accuracy and they can perform manoeuvres impossible for airplanes. Well, don’t despair. Although we don’t know if we will ever reach the level of the birds, advances in the aircraft industry are not even close to be finished and a lot of exciting research is going on, especially in regards to airframe and control technologies. 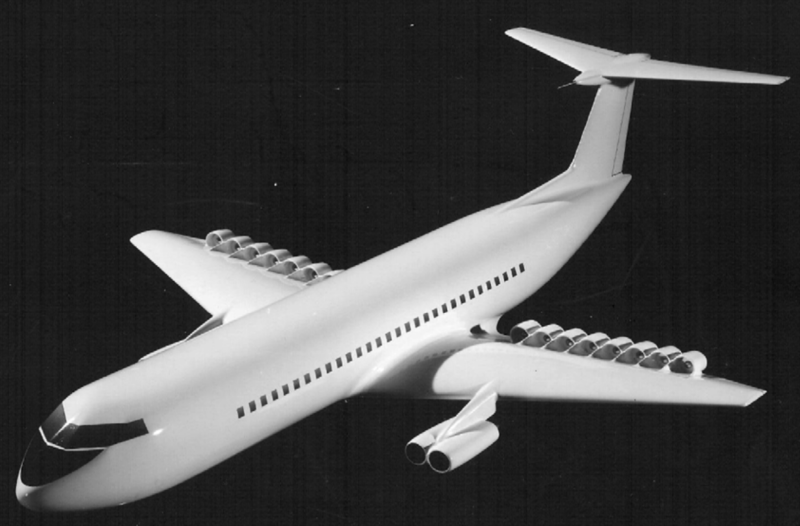 This post takes a look at what an airplane will look like in the next few decades. While progressive optimisation of the current aircraft is ongoing (aerodynamic improvements, engine efficiency, increased use of composite materials, etc.) other revolutionary concepts are being studied as well. An innovative way to improve aircraft from the structural point of view is to contemplate the exploitation of internal pressurisation. The core idea is that some structural members subjected to external loads can exhibit a higher limit load if internally pressurised. Let’s consider an example of a common beverage can made of aluminium. If you step on it when it’s empty it gets crushed easily; if you do so when it’s closed (therefore with pressurised fluid inside), it can resist much more. Internal pressurisation can provide benefits in terms of weight reduction and is therefore particularly attractive for the aeronautic and aerospace industry since this concept presents greater potential if used in conjunction with high performance material. The Institute for Aerospace Technology, through its EU-funded ‘INNOVATE’ project, has begun research in this field and a first technical publication is available here. New structurally enhanced designs are desirable and, for example, a lighter and more slender wing with a pressurised structure replacing the conventional use of spars and ribs is not too visionary. A different but equally interesting use of pressure is made to obtain shape-changing structure. Let’s imagine an aircraft whose wings can change shape and adapt to different flight conditions. Benefits would be impressive: one could always have the best configuration instead of optimising it for a specific configuration (weight, cruise speed, cruise height, etc.). It also would make flaps and their drive mechanisms unnecessary as shown in Figure 1. 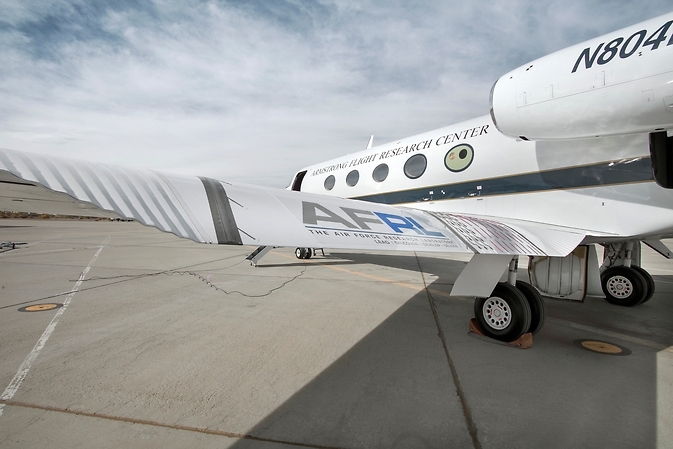 A similar concept is being studied by NASA and U.S. Air Force Research Laboratory (AFRL) with their Adaptive Compliant Trailing Edge (ACTE) project. It consists of wings which integrate advanced shape-changing flaps in order to have a seamless bendable and twistable surface. FlexFoil, the name of such variable geometry airfoil system, has been developed by FlexSys Inc. and the concept is briefly explained in this video. In October 2014 the first successful flight tests, conducted on a modified Gulfstream III, took place and Thomas Rigney (ACTE Project Manager) said “the flight went as planned. We expect this technology to make future aircraft lighter, more efficient, and quieter.” More information available here. DP has been proposed with several architectures and different concepts have been studied. The most advanced concepts make large use of electrical parts. The seemingly most promising DP system is called Turboelectric Distributed Propulsion (TeDP), which employs gas-turbine-driven superconducting electric generators to generate power and superconducting electric motors to drive the distributed fans. This system is characterised by the absence of mechanical shafts and gears and therefore allows placing generators and fans in most convenient locations. TeDP is expected to reach a TRL 6 (Technology Readiness Level) by 2025. Lastly, there is still a direction of innovation which is worthy to be considered: the Blended Wing Body (BWB) aircraft, namely an aircraft with no real distinction between wings and fuselage. This results in a tapered body, approximately triangular. The BWB concept is not new at all, but recent progress in aerodynamics and flow control has renewed interest in this technology. What would be the advantages of such aircraft? BWB structure differs from the conventional one in that a large and flattened fuselage generates a large portion of the lift force, whereas the small wings mainly provide balance and manoeuvrability. This leads to higher lift-to-drag ratios and, ultimately, to increased fuel efficiency. Moreover, BWB aircraft allow for a better match between weight and lift distributions with benefits in terms of loads on the structure. Other potential advantages include payload capacity, space on board and lower noise. Aerospace and aeronautical industries surely represent the most fascinating example of advanced technologies integration and modern transport aircraft have reached a technological level that we could not imagine some years ago. However, we have just seen that much research is still ongoing and the innovations that such work should produce could be very impressive. As always in research, no one can say when exactly these technologies will actually become usable and to what extent they will enhance the current state-of-the-art aircraft, but it is certain that much has yet to come and we cannot wait to see it. Further enhancement of aircraft performance: still a utopia? The interesting thing about airplanes is that one has set itself apart with bionics and the shark was taken as inspiration, not the bird.